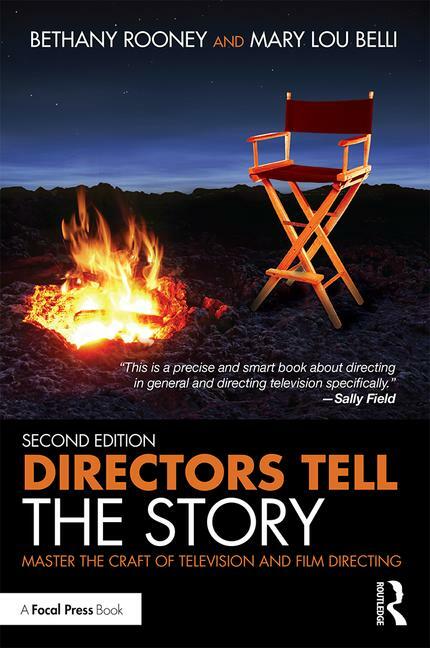 Directors Tell The Story: Master the Craft of Television and Film Directing is an inside, behind-the-scenes, step-by-step manual for aspiring directors. LOS ANGELES, CALIFORNIA, USA, May 4, 2016 /EINPresswire.com/ -- The second edition of Directors Tell The Story: Master the Craft of Television and Film Directing, written by veteran television directors Bethany Rooney and Mary Lou Belli, is being released this week by Focal Press / Routledge / Taylor & Francis. The book has become an industry how-to for emerging directors and is being utilized at the Warner Brothers, ABC/Disney, and Sony directing workshops, and in directing classes on many university campuses. Directors Tell the Story is part of Rooney and Belli’s mission to help grow future directors working in television by empowering them with real knowledge to promote their success in the industry. In addition to writing the book, Rooney and Belli teach, mentor and share their experiences in speaking engagements with the goal of raising the percentage of women directors working in television today. Bethany Rooney has been at the helm for over two hundred episodes of prime time television for over thirty years, including many critically acclaimed series such as Desperate Housewives, Ally McBeal and Brothers & Sisters, and the American long-running classics NCIS and Criminal Minds. Bethany teaches the intensive Warner Brothers Directing Workshop and serves as co-chair of the DGA’s Women’s Steering Committee as well as the co-chair of the DGA Diversity Task Force. Mary Lou Belli is a two-time Emmy Award-winning producer, writer, and director as well as a prolific published author, Mary Lou has directed NCIS New Orleans, Monk, Hart of Dixie, The Game, Girlfriends, and The Wizards of Waverly Place and is a professor of directing at USC’s School of Cinematic Arts. Boutique publicity and social media branding professional with Los Angeles theatre productions, actors, musicians, bands, authors and directors. Production and marketing services are also available at competitive prices.